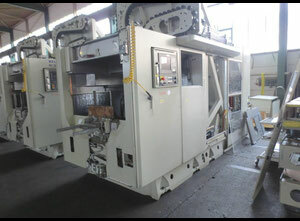 Machining center can be described as a few machines combined in one. It represents a big piece of industrial equipment capable of performing various tasks like milling, grinding, boring etc. Such a versatility in a task range is possible thanks to the integrated tool changer - an elaborate toolbox inside the machining center. 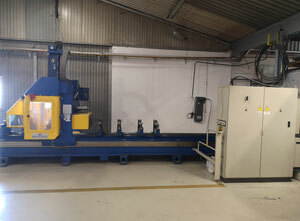 Thanks to the automated operation of the machining center tools are changed without any intervention needed which allows to handle multiple tasks at the same time. The basic principle of operation is to start with a piece of metal and remove the unnecessary bits until the target object is all that’s left. 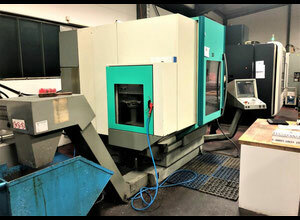 It's crucial to mention, that modern machining centers 5 axis have a CNC feature. 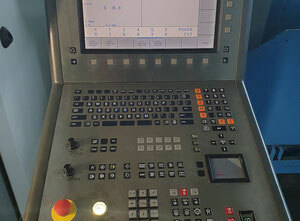 Which means machining centers are computer controlled with vast majority of their functions being automated. A special software determining the program operating the machining center is uploaded on a USB drive and then connected to the machining center. 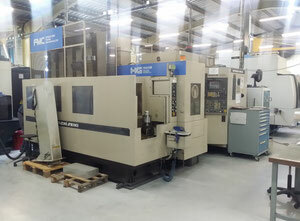 CNC machining centers have only been on the market for the last 2 decades, so there is a chance you will stumble upon a used machining center with manual operation. Since machining centers belong to metal working machinery, they are designed to work with different types of metal. Most commonly processed metals are aluminium, steel or stainless steel. Those metals can be described as soft, while hard metals are processed with EDM machines. 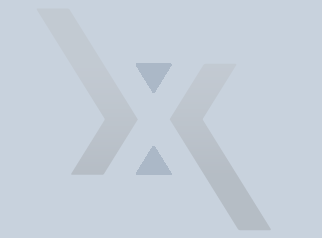 Term "axis" stands for the number of directions in which the working tool of the machine can move. What is the difference between a machining center with 3, 4 or 5 axis? Three axis machining center moves a part in two directions (X and Y), and the working tool itself moves up and down (Z). 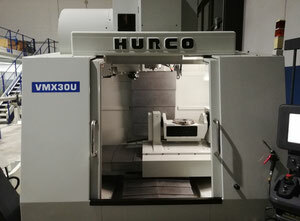 When a machining center has 4 axis, it means the additional feature of rotating work table. 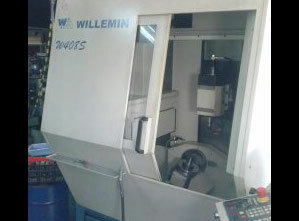 The most popular product category are used machining centers 5 axis. On a 5-axis machining center, the cutting tool moves on 5 different axes at the same time: across the X, Y and Z linear axes as well as rotates on the A and B axes to approach the workpiece from any direction. 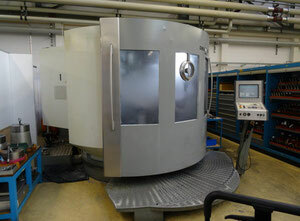 Machining centers 5 axis are used to shape metal parts and grind metal pieces. 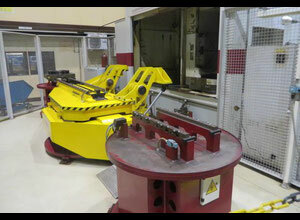 The area of use of such machines is comprehensive: from household appliances to automotive industry and even aerospace. To determine 5 axis machining centers usability, one should think of the final product manufactured with the machining center first. Majority of cases, final produce would be screws or small metal parts, which can be later on applied to a number of industries. 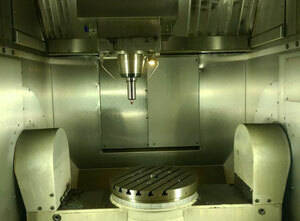 Machining centers are also used to manufacture impellers and turbines, which is widely used in aerospace industry or aviation. Lately, there also appeared quite a few examples of sophisticated art objects crafted with 5 axis machining centers. 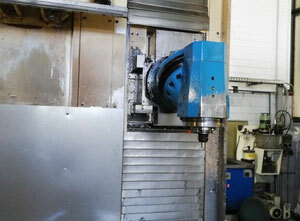 However, one should keep in mind art is not the main purpose of machining center usability. The basic attributes of any 5 axis machining center are the power of motor in kW and the number of rotates per minute which represents the maximum spindle speed (from 2'000 rpm to 15'000 rpm). When speaking of the main attributes, however, spindle speed and motor power are secondary as opposed to spindle design, thermal stability and construction as well as stability of the machine. These parameters are more important than horsepower and torque values. For instance, spindle design is a critical component in achieving a perfect fit between components, without manually fitting those components. 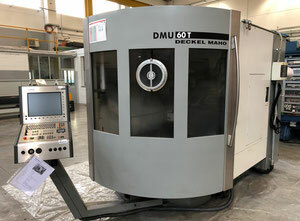 DMG - conglomerate of Japanese and German manufacturers can easily be called one of the best machining center producers in the world. 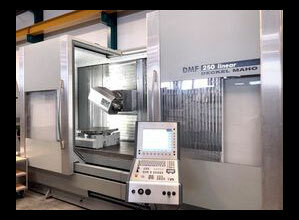 DMG machining centers can also be found in Exapro online catalog under Deckel Maho or Mori Seiki brands. Mazak - Japanese manufacturer of machine tools. 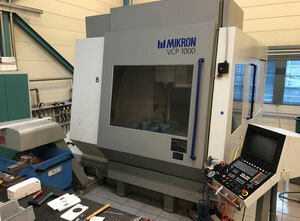 Global corporation based in Japan specializing in producing professional CNC machining centers and lathes as well as production support software. Okuma - Okuma corporation was founded more than a century ago in Japan. Famous manufacturer of machine tools (lathes, machining centers and grinding machines) nowadays has headquarters all around the world. Okuma’s 5-axis machining centers give the ability to manufacture high precision, complex parts.